NATURE’S SANCTUARY PHOTO EXHIBITION: The exhibit proved to be a great success. Thanks go to Liana Franciosi and her committee for producing the best attended opening night/month for any exhibition held at the Assembly Hall. More items were sold at this show than ever before! Participating photographers have requested more of the same. Keep watching the FOSS blog. Details will be posted as they become available. PROPOSED PHOTOGRAPHIC WORKSHOP: Tentatively scheduled for Spring 2017. Location: Colonel Sam Smith Park. Fee will be charged. Check the blog for more information. BREAKING NEWS: TWO-HOUR PARKING LIMIT ON SOUTH LOT AT COLONEL SAM: In order to reduce the number of parking spots taken up by non-park users in the south parking lot, a new two-hour parking program (9:00am to 5:00pm, Monday through Friday) has just recently been instituted. FOSS has expressed concern to the City of Toronto’s environmental specialist about the loss of Barn Swallow nesting sites with the building of the new viewing stand. Result: research is being done to find an appropriate structure that can be added to the platform that will meet the birds’ nesting requirements. 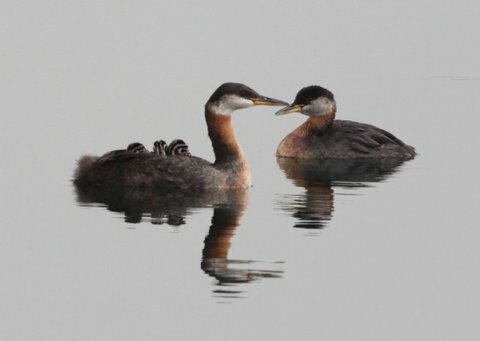 IMPORTANT BIRD AND BIODIVERSITY AREA (IBA): FOSS is investigating the possibility of Col. Sam Smith Park’s being designated as an IBA on the basis of the presence of large migratory rafts of Red-necked Grebes and as a location for the annual migration of Whimbrels. SUB-COMMITTEE VOLUNTEER POSITIONS OPEN: FOSS would greatly welcome volunteers willing to serve on sub-committees and who would contribute their ideas and time to make the park an even better experience. Project possibilities include: the annual Bird Festival, ecological improvements (e.g. barn swallow and filtration plant fields advocates, removal of invasive plant species), bird feeder fillers/monitors, photo/art exhibits, etc. See blog for contact information. WINTER BIRD FEEDING PROJECT: FOSS will erect and maintain bird feeders along the rim of the skating trail from December through March. For users of Sam Smith Park who have expressed concern to FOSS about the ad hoc sale of alcohol and food (and no provision of suitable sanitary facilities) during Aussie Rules football games, FOSS has been informed by the city that the sale of food and alcohol and the use of barbecues are not allowed except by special permit from the city’s licensing department. Anyone with concerns should call 311 or contact 311@toronto.ca. FOSS is concerned about the rapid growth of invasive burdock in the park. It presents a danger to small birds that get caught up in the seed heads. For more information, see an October 2015 article thatappeared in the FOSS blog. FOSS will investigate the possibility of a burdock cutting session to be held at approximately mid May to help eradicate this problem. SIGN VANDALISM IN COLONEL SAM PARK: Signage in the park is under constant threat from vandalism. Some of the signs appear to be irreparably marred. Pleased report all vandalism to 311 or 311@toronto.ca. The city’s response is complaint driven.